Good Work on YTD, same thoughts regarding buying the house.Goodluck for the new year. Awesome job you got some nice solid amounts and companies which will grow and grow and grow.keep it up. Solid total for the month of December. Nice to see a lot of your top payers are in my portfolio too. You have many great companies paying you. 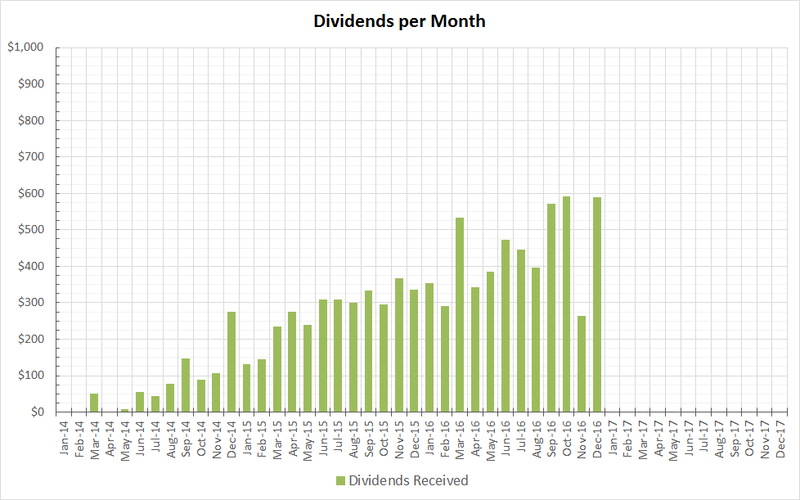 A solid base to any dividend income portfolio. Keep it up and look forward to folowing your progress in '17.